Musement, the leading global travel discovery and booking service, and global destination experts LUXE City Guides announced a new partnership offering a smoother way to book in-destination experiences. 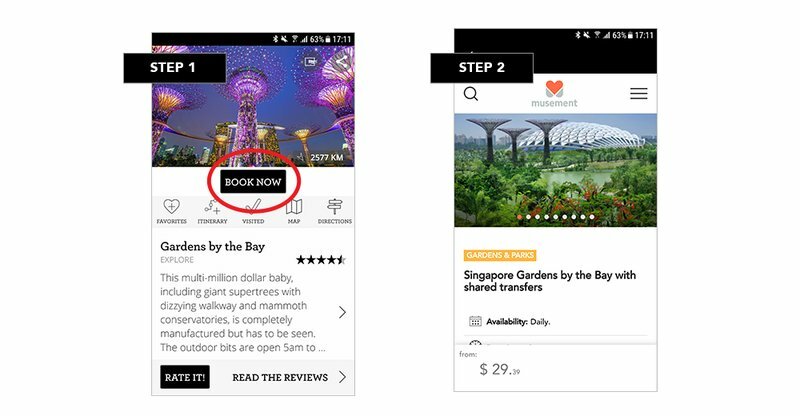 LUXE users can now instantly book a Musement experience directly via the LUXE app (reducing the hassle and time spent researching online), or, when in the destination. Thanks to this integration, travellers have access to Musement’s wide inventory of tours, attractions, workshops and skip-the-line tickets to major museums and monuments. Open one of the guides included in the LUXE City Guides app, and look for the Book Now button at the top of an individual listing in the Activities category. You will then be directed to the Musement website where your booking will be instantly managed. Musement will also help with any follow-up questions or problems with the booking. Note: not all activities have a ‘Book now’ button, it depends on the availability of tickets or tours for a specific activity. LUXE City Guides is committed to adding value to its digital guides, without compromising the high curatorial standards of our selection. LUXE doesn’t accept payment for listings and each and every recommendation is first screened by our resident editors before being added to the guide; only once its passed our curatorial criteria is it then linked the Musement platform. Whether you have a few hours or a few days, LUXE is all you need to get the trusted, inside scoop on your destination. ** The booking services are offered by third-party service providers, LUXE does not keep your personal data and we are not responsible for the provided service. For any enquiries on your reservation, please contact the booking platforms directly. Please click here for more details of our Terms of Service.